I read this article and found it very interesting, thought it might be something for you. 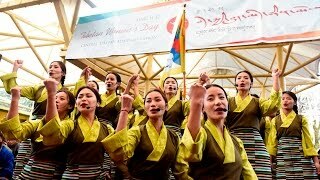 The article is called Tibetan Parliament-in-Exile hosts gala dinner to thank the Members of Indian Parliament and is located at https://tibet.net/2019/01/tibetan-parliament-in-exile-hosts-gala-dinner-to-thank-the-members-of-indian-parliament/. 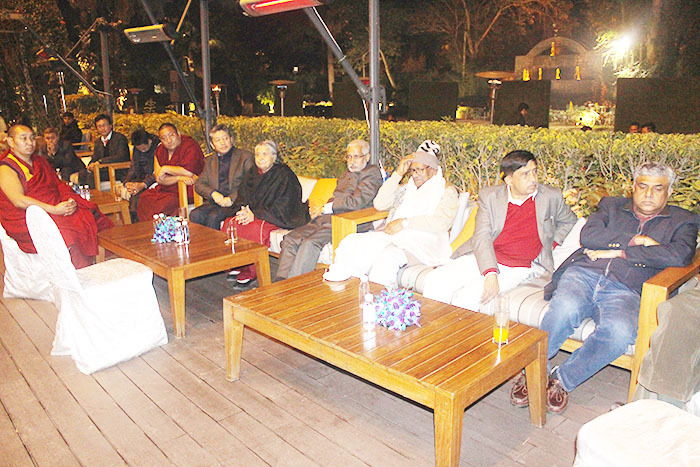 New Delhi: The Tibetan Parliament-in-Exile organized a dinner get-together in honour of the members of Indian Parliament at Shangri-la Eros Hotel on 6 January. The event is being organised to express gratitude to the Members of the Indian parliament for receiving the Tibetan parliamentary delegation and for relentlessly supporting the Tibetan cause. During their advocacy tour from 3 to 5 January, the Tibetan parliamentary delegation has met 235 Indian parliamentarians of both the houses. 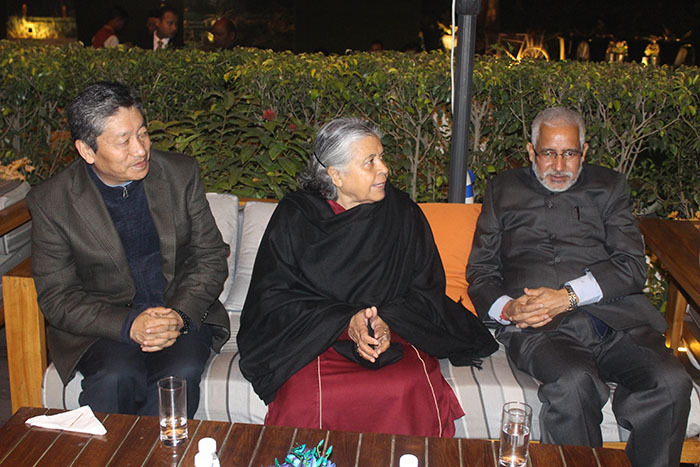 A host of Indian parliamentarians and supporters attended the dinner gathering. MP Shri Shanta Kumar, Convener of All Party Indian Parliamentary Forum for Tibet, MP Shri Bashish Narain Singh, Shri Ninong Ering, Indian National Congress, Shri K.C. Ramamurthy, Indian National Congress, Shri Mukut Mithi (INC) Former Cheif Minister of Arunachal Pradesh, Shri Pradeep Tamta, Indian National Congress, Shri Swapan Dasgupta, Nominated Member of RS, Shri M.V.Rajeev Gowda INC, Smt. Viplove Thakur, Indian National Congress, Shri Narender Kumar Swain, Biju Janata Dal, Shri Udit Raj member of Lok Sabha were among the attendees. Dongchung Ngodup, Representative of Bureau of His Holiness the Dalai Lama and Tsering Dhondup, Secretary of Bureau of His Holiness the Dalai Lama, Karma Dhargyal, Director of ITCO and staff joined the gathering. Deputy Speaker Acharya Yeshi Phuntsok welcomed the members and briefed about the establishment of All Party Indian Parliamentary Forum for Tibet (APIPFT) in 1970. 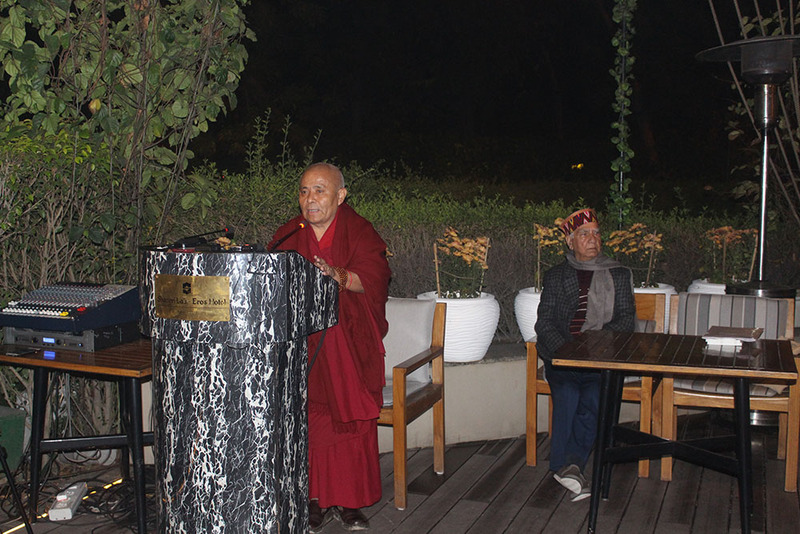 Deputy Speaker Acharya Yeshi Phuntsok, Tibetan Parliament-in-Exile addressing the dinner gathering on 6 January 2019. 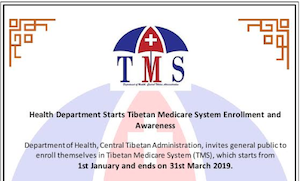 He said, “The Tibetan Parliamentary Delegation has called upon 270 Indian Parliamentarians from both the houses in the last 5 years from 2014 to August 2018 at Delhi and 8 APIPFT meetings were held and in which several resolutions were passed. 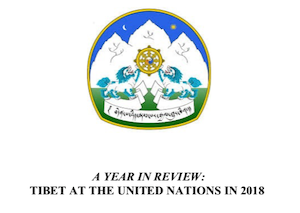 As per in the resolutions, the members raised the Tibet issue in the parliament sessions and visited Dharamsala during the Tibetan occasions and on-going Tibetan parliament session. There are two more resolutions left to follow up i.e. to invite His Holiness the Dalai Lama to address the Parliamentarians in any of house or Annexe and to confer Bharat Ratna, India’s highest civilian award, for His Holiness the Dalai Lama. 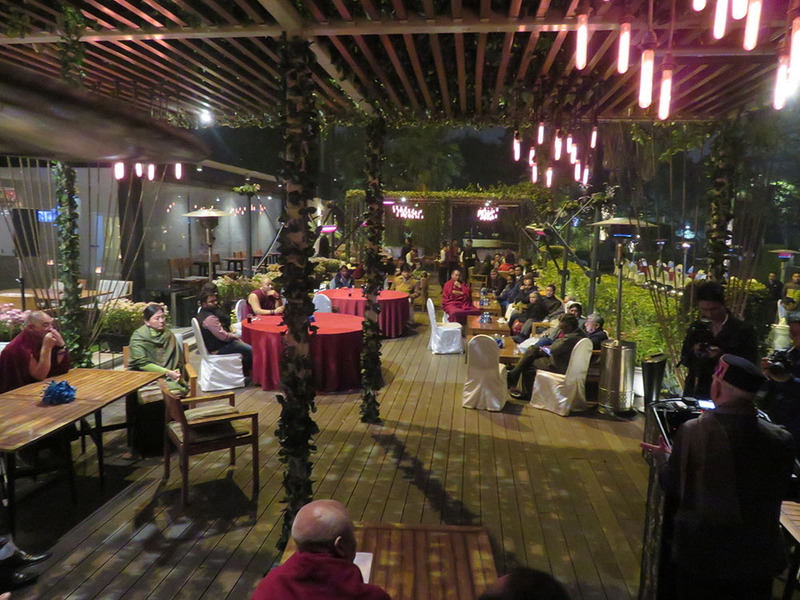 He further expressed his delight in organising the dinner gathering for all the APIPFT members. 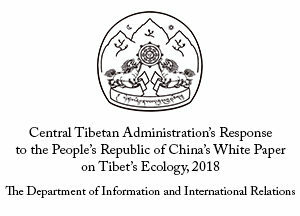 He mentioned that it will be 60 years in exile on 10th March since His Holiness the Dalai Lama’s escape from Tibet and thanked all the members on behalf of Tibetans in and outside Tibet for all the support extended towards the Tibetan for the last 60 years. 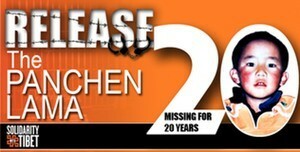 “The current situation inside Tibet is deteriorating under China’s crucial laws. 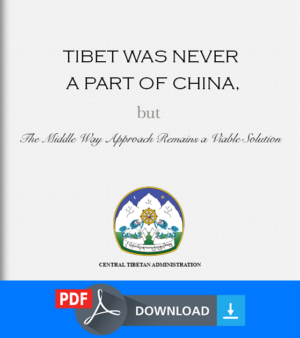 But the Tibetans aspiration to resolve the Tibet Issue is still very strong and Tibetans in exile are striving to bring the Tibet case in the international platforms. 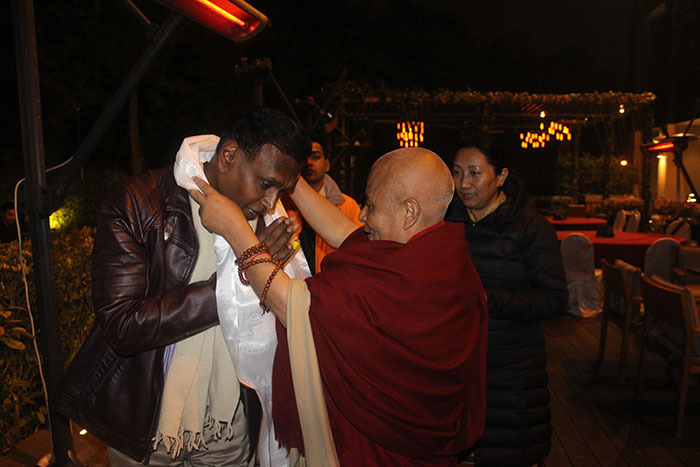 Because of the successful work of APIPFT, several Parliamentary Support Group for Tibet in various countries was established.” He again thanked the members for gracing the dinner gathering with their presence. Hon. Shanta Kumar in his speech said he is pleased to get the opportunity to be the convener of the APIPFT from 2014. He further iterated that Dharamsala being the residence of His Holiness the Dalai Lama, people from across the world come to Dharamsala. He also said the struggle to resolve the Tibet issue should continue and China should resume the dialogue with the representative of His Holiness the Dalai Lama. 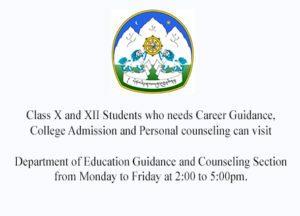 Acharya Yeshi Phuntsok thanked Hon. 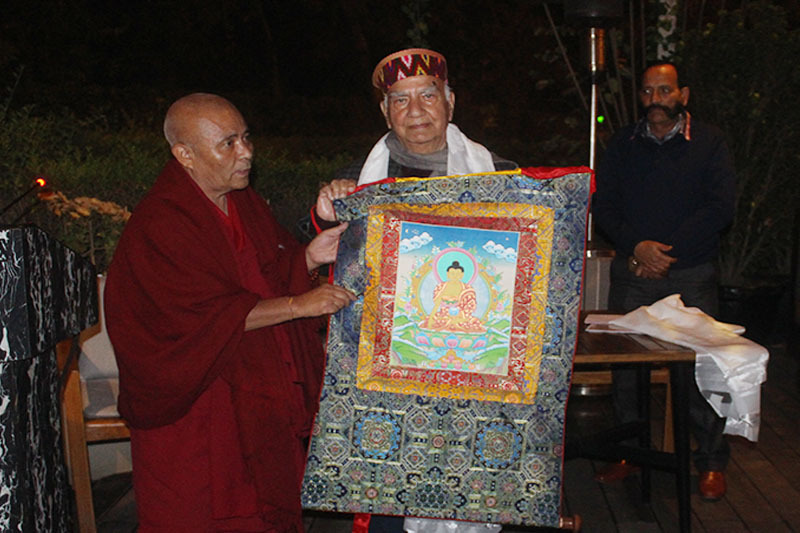 Shanta Kumar for being the convener of APIPFT and for being a staunch supporter of our cause and presented a Thangka. He then presented a scarf and a book “Freedom in Exile” to all the members. The Standing Committee members of Tibetan Parliament, who arrived in Delhi on 2 January, were divided into 5 groups of four members each. The first group led by Speaker Pema Jungney, Dy. Speaker Acharya Yeshi Phuntsok and Parliamentarian Ven. Kada Ngodup Sonam was accompanied by staff of Tibetan Parliamentary Secretariat Kalsang Youdon and Tenzin Paljor. 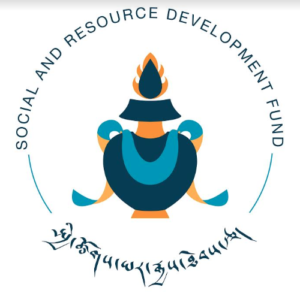 The second group led by Juchen Kunchok Choedon and Geshe Monlam Tharchin were accompanied by Choney Tsering of India Tibet Coordination office (ITCO). The third group led by Ven. Tenpa Yarphel and Ngawang Tharpa were accompanied by Karma Dhargyal, Director of ITCO and Lobsang Nyima of Tibetan Parliamentary Secretariat. The fourth group comprising of parliamentarians Tsanaetsang Dhondup Tashi and Karma Gelek were accompanied by Tenzin Paljor of ITCO. 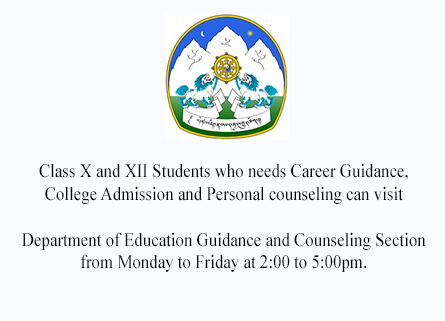 The fifth group comprise of Geshe Atuk Tsetan and Konchok Yarphel and Tsering Lhakyi and Tenzin Choeying.